Well done on making it to the end of week 2 of the MSS! This is the time to re-cap on your learning so far in relation to the shoulder and hand. 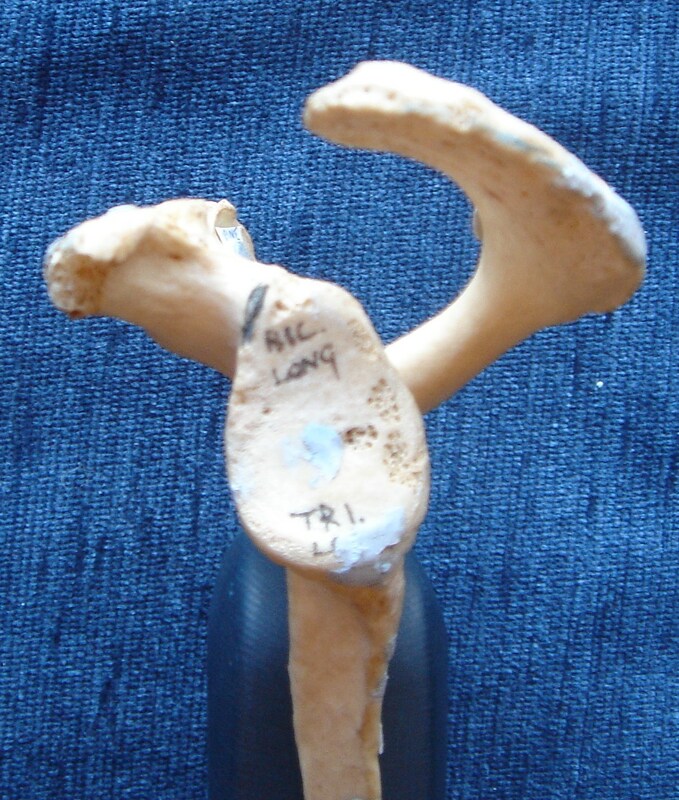 Take a look again at the bone of the week and case of the week especially for shoulder and hand stuff. Week 3 will be focusing on back and neck pain, especially nerve root compression and mechanical back pain but with something about other back problems as well – enjoy! You should be able to recognise the scaphoid and the lunate bones now. 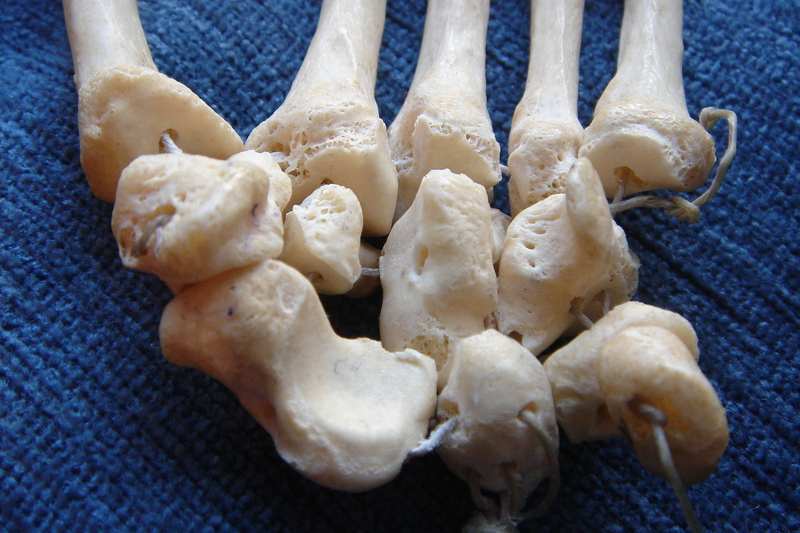 Do you remember the names of the other carpal bones? This is an axial view of the carpal tunnel looking from the forearm towards the hand. The scaphoid bone is on the left of the picture and the lunate is next to it. 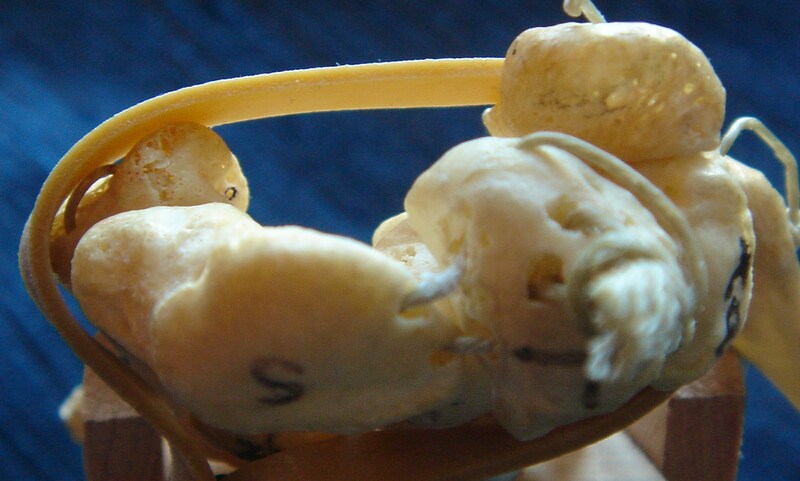 The elastic band represents the flexor retinaculum or transeverse carpal ligament bridging the tunnel. Ten structures run through the carpal tunnel. Do you remember what they are? There are some things you don’t need two of! 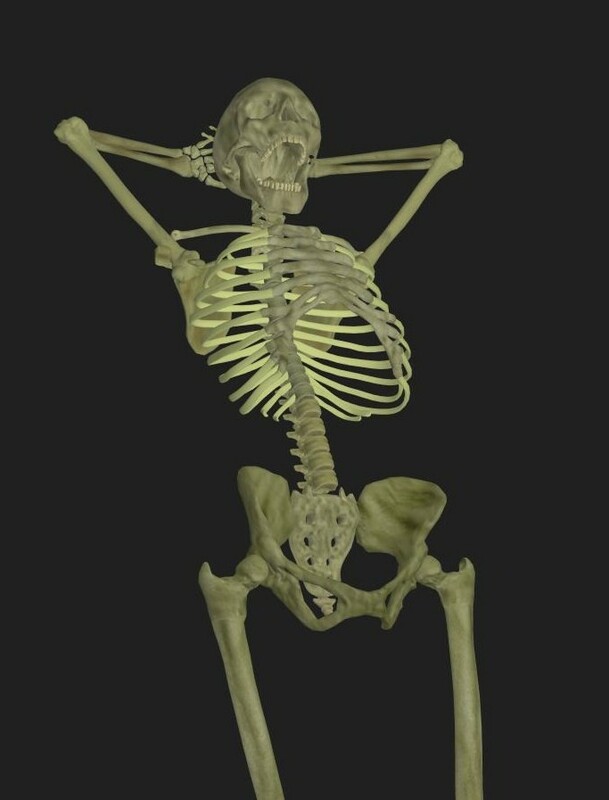 Now you are getting good at recognising the appearances of the tibia and fibula (leg bones! check video, ed) can you spot the deliberate mistake in one of Mr DundeeBones’ legs? 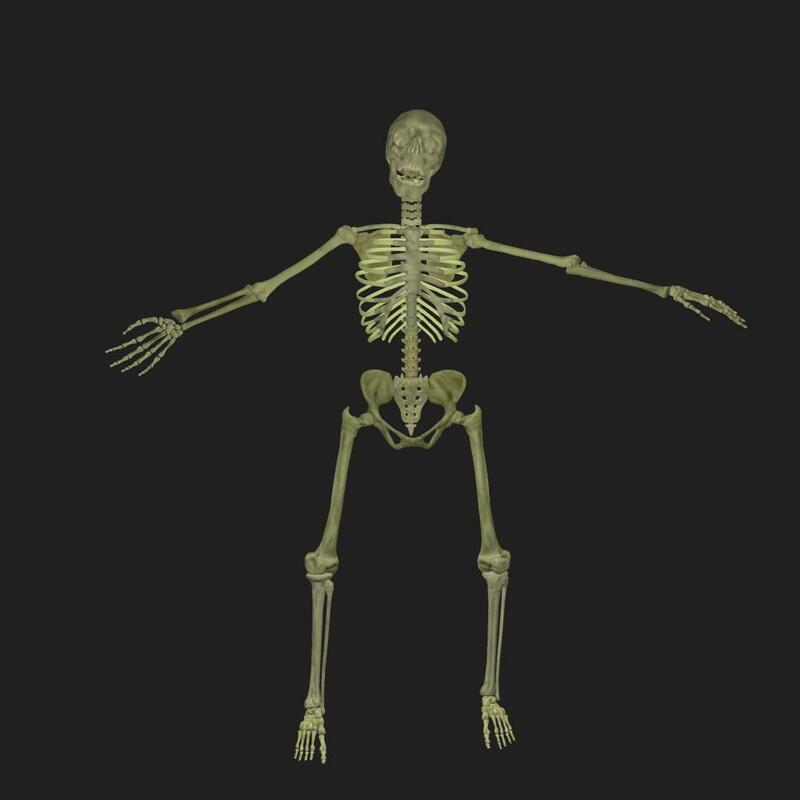 This is an unusual veiw of a bone that has been mentioned alot in week 2. What are the names of the four prominent parts of this bone ? The site of supraspinatus above the spine of the scapula on its way to insert into the greater tuberosity of the humerus. 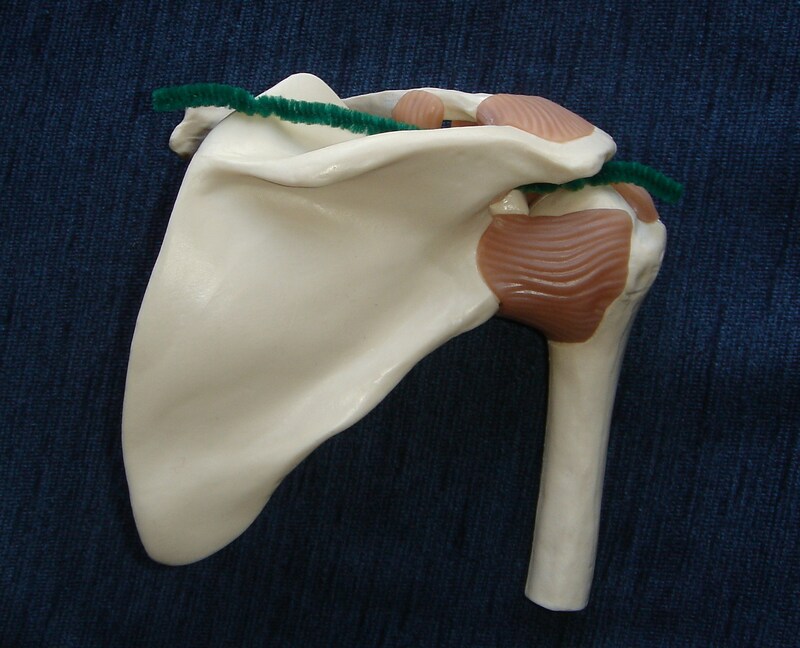 What action can this muscle perform on the shoulder joint?